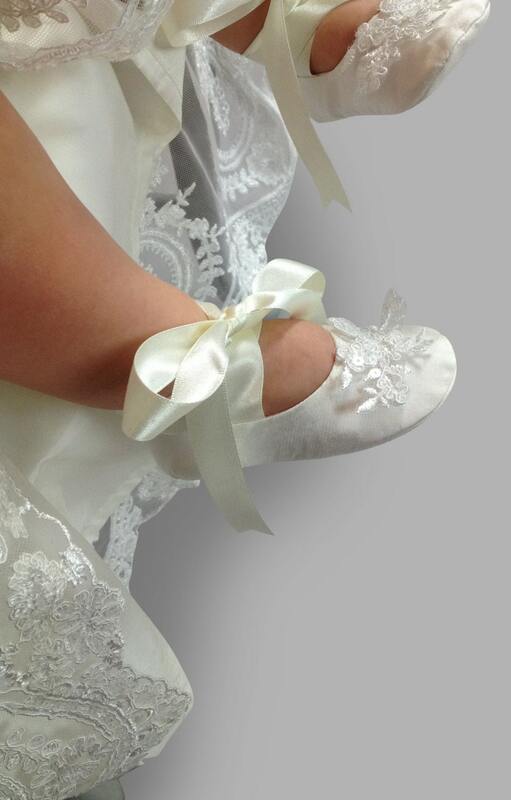 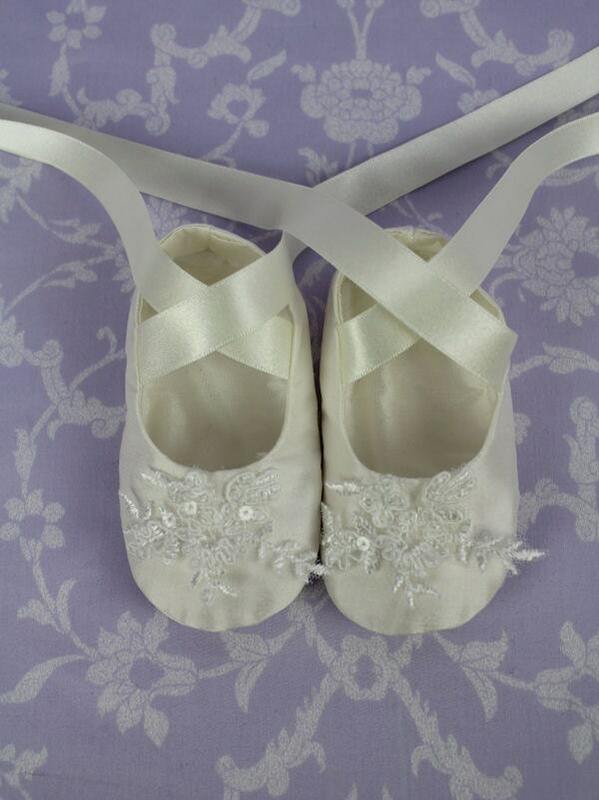 These little booties match our Cameo and Imogen gowns. 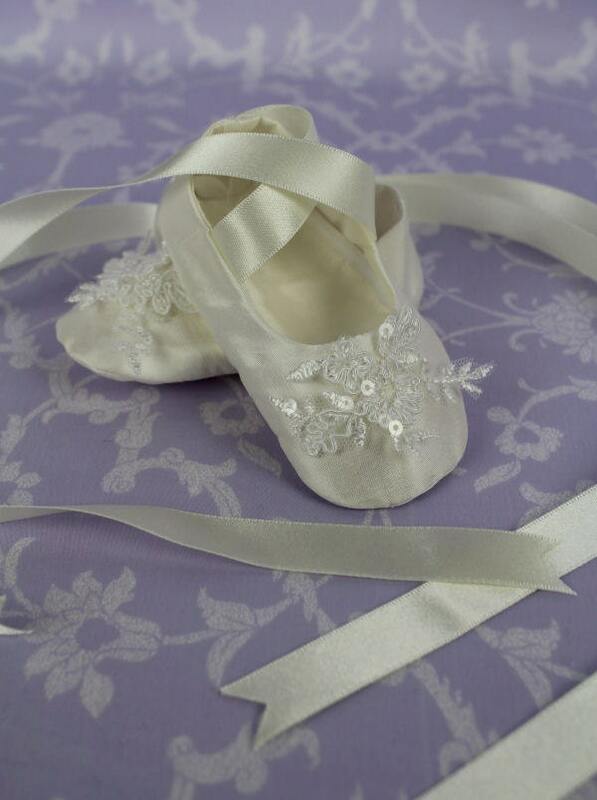 Our Cameo Ballet ballet pump has the small cluster of flowers motif with sequins from the Cameo lace placed on the front of them. 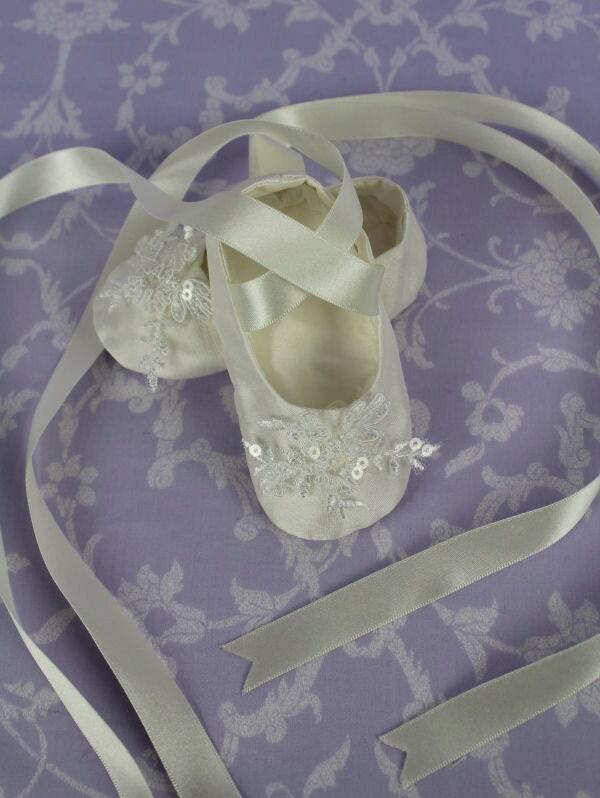 These Cameo booties match our Cameo bonnet.